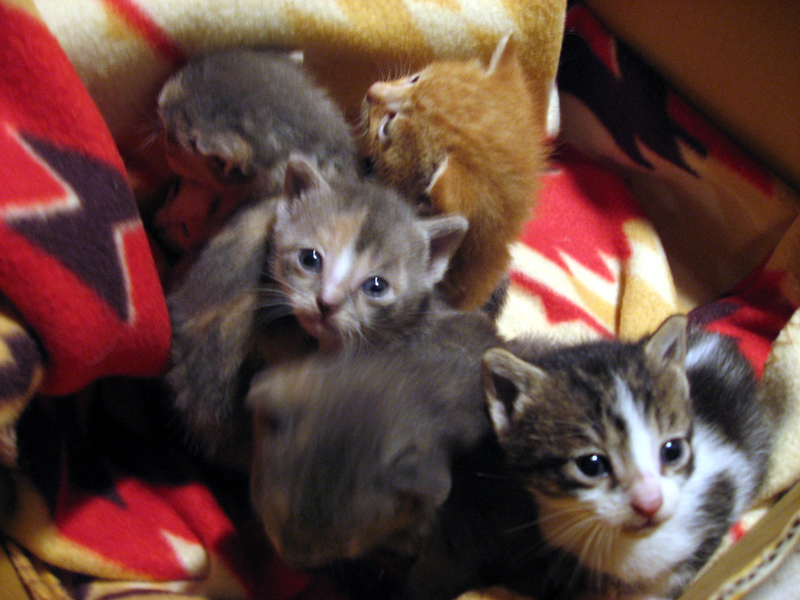 The mom kitty in the previous post moved her kittens to an unknown location before we could trap her. A neighbor spotted her nest and let us know. 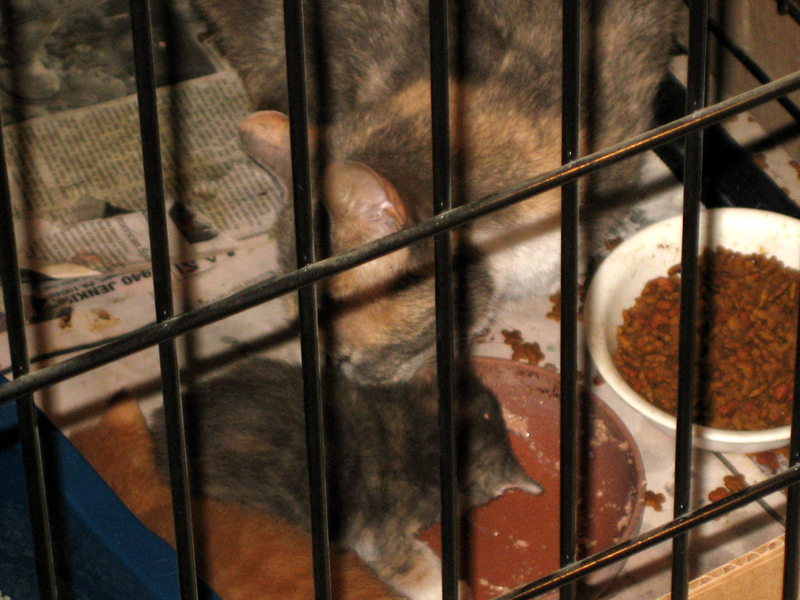 Di trapped the mom and we grabbed the kittens. 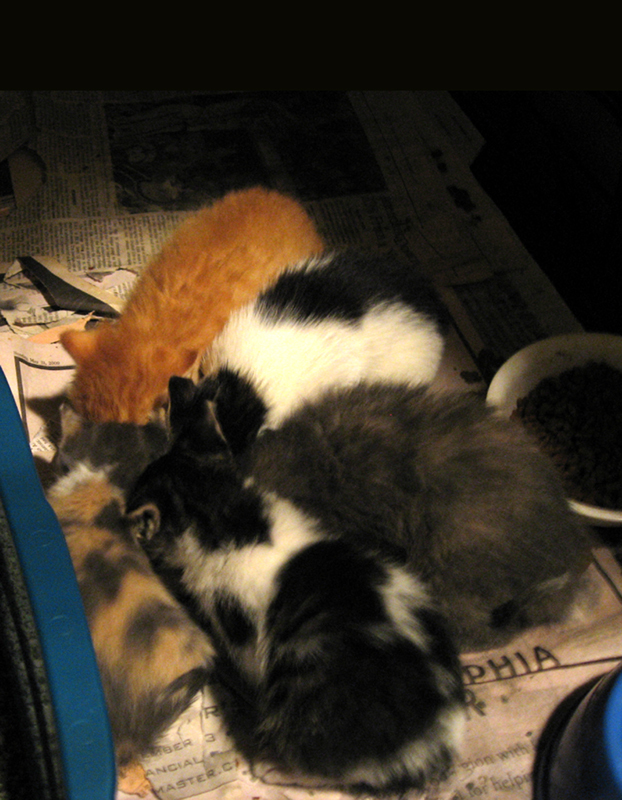 They are all tucked away in the basement till time to spay mom and adopt out the kittens. They are about 4 weeks now. Curious devils at the moment of capture. This entry was posted on April 22, 2010 at 5:53 pm and is filed under meandering, mess. You can follow any responses to this entry through the RSS 2.0 feed. You can leave a response, or trackback from your own site.